Hey... awesome scan! I love the way these two look together! Thanks for sharing! Very cute scan, I love to see them togehter, too... Ichi looks cool on this one :), thank you ! Great pic of them, dramatic and strong. Wouldn't want to be the one in Ichigo's way at the moment. i love ichigo in his bankai clothes. Ichigo with his zanbatou in Bankai mode, he always looks cool in this form. And Rukia too? Splendid! I never manage to get a full scan of this pic, and finally! 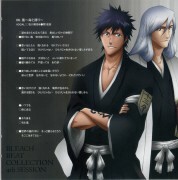 Ahhhhhh.....Ichigo in bankai suit XD XD XD Love it! Pretty Ichi-nii x Rukia image!^^ Thank you so much so much! 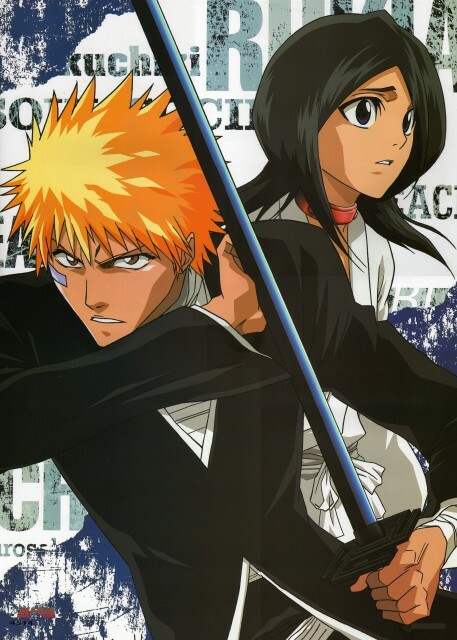 I don't know how the creators came up with such great ideas in Bleach!The anime rocks!